Composers were just as prone to drug-fuelled excess as their modern rock star equivalents, from alcohol to opium and most things in-between. Discover who did what in our gallery. 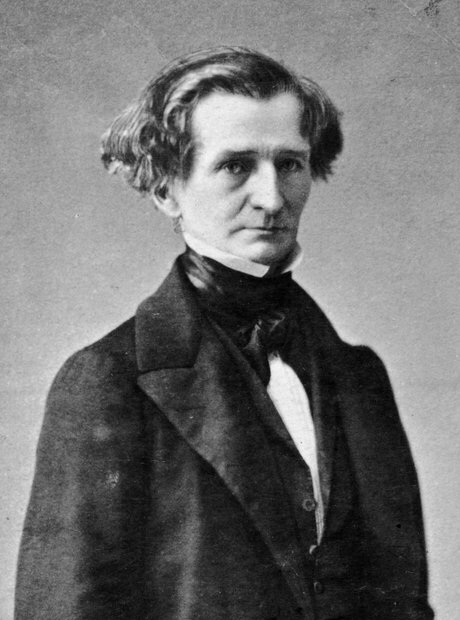 Berlioz's Symphonie Fantastique is without doubt one of the druggiest pieces in the classical canon, and it's surely no coincidence that Berlioz himself loved a bit of opium to open his mind's eye. In a letter to his father, he once said: "I see myself in a mirror. Often I experience the most extraordinary impressions, of which nothing can give any idea… the effect is like that of opium." The story of Beethoven's death and his final words has become legendary: "Pity, pity, too late!" he supposedly garbled as he was told that his publisher had sent him a case of red wine. Upon inspection of his liver during an autopsy, it emerged that he had cirrhosis, apparently exacerbated by his fondness for the red stuff. Scholar Martin Geck describes Robert Schumann as "a political activist, the father of eight children, and an addict of mind-altering drugs," in his book on the composer. Schumann also reportedly took a variety of different drugs to deal with his syphilis and the pain he suffered in his right hand (a result of a finger-stretching regime gone horribly wrong), including mercury, quinine and arsenic, although there is much conjecture about exactly what he took. Bernstein was in such a sorry physical state towards the end of his life that he came to depend on massive amounts of painkillers just to get through concerts. One show in Boston had to include a five-minute pause while he suffered a massive coughing fit during the third movement of Beethoven's Symphony No. 7. Although the popular portrayal of Mozart as an ADHD-suffering extrovert with a penchant for too much champagne and snuff is often exaggerated, it doesn't mean there's not some truth to it. Friends of the composer often spoke of him as always having a glass of punch in his hand. Famous for his epic minimalist piece 'In C', Terry Riley was also a fan of three other letters, namely LSD. He once said that LSD was "the element of the consciousness-raising movement," and that marijuana was a "sister drug" to it. He also spent some time in Morocco during the '60s, like a prototype gap-year student trying to find themselves, and experimented liberally with the generous spread of hallucinogens on offer. The 12th century composer and all-round renaissance lady Hildegard von Bingen was a major experimenter with herbal remedies. She catalogued the effects of over 200 herbs and plants and their medicinal effects on the human body, collecting them in epic volumes for future generations to discover. She supposedly even had hallucinations from some of her experiences, but scholars suggest it may have just been a migraine… We like to think it was the former. The serialist pioneer Alban Berg was also an asthma sufferer, so much so that he overdosed on prescription medicine designed to alleviate the symptoms. Scholar Magnar Breivik says in an article on the composer: "Berg suffered from insomnia, not least because of overdoses of medicine supposed to soften his severe asthmatic pains. He desperately tried to reduce his trying condition through drugs." Another supposed opium fiend (it was everywhere at the time), Chopin was rumoured to regularly take the drug with a sugar cube as a method of combating the symptoms of his tuberculosis.